sexuality | Real. Food. Girl. Hi again! I’m thinking I want to keep up using this blog, and possibly transitioning AlmostVegGirlie over here eventually…we’ll see what happens. 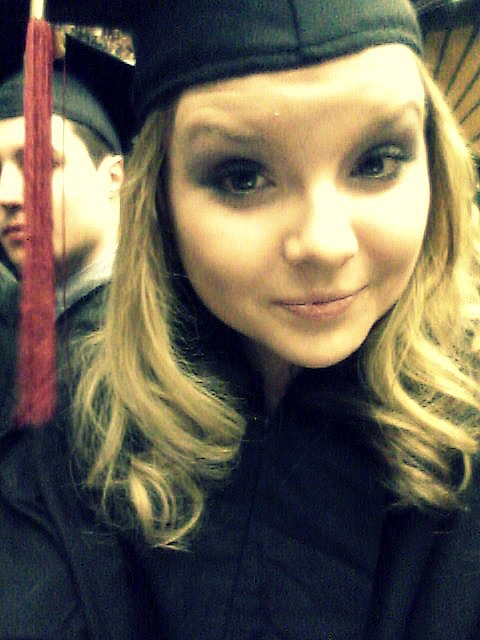 As mentioned in my most recent post on my other blog, I graduated from college exactly 1 week ago. Since then, it’s been a crazy whirlwind of moving out of my apartment and back into my parents’ house, Christmas shopping and present-wrapping, Christmas itself and all the post-holiday errands. I still can’t quite catch my breath, but I’m starting to get back into a routine–well, if you can call not having much to do a routine! I can’t quite believe I’m a college graduate–I feel like I was just moving into the dorms for my freshman year. But real world problems, like having to find a job and pay off college loans, are starting to hit me hard. I officially started the job search yesterday, and so far I’ve applied to one job, with another application ready to send out. Believe me, I’m going to be applying to probably about 50 jobs, so my job search is still in its early stages. When you go into a competitive field, like broadcast journalism (what I’m pursuing), you have to be ready to take a job almost anywhere. As it is, I’m limiting my search to the western United States. I’m willing to go as far east as Texas, possibly Nebraska, and anywhere else within the western part of the country besides Idaho/Montana. Those states are just too much nothingness for me. Even Wyoming is pushing it, but I know a lot of CSU grads get TV jobs in Cheyenne since the school is only about 40 miles away in Colorado. I’m starting to dream out a life plan for myself, and I feel kinda like a grown up. I can almost picture myself living in some of the places I’m applying to, having a full-time job, probably with crazy hours and days, and learning the ropes of being on TV. I have 3 semesters of experience doing weather for my college TV station, but that’s small stuff compared to even the smallest TV markets. I can’t wait to (hopefully) move out of state, have my own apartment (if it’s in a bigger city, I may have to have a roommate…) and a new life. I’m excited to make friends with my co-workers, find a job I can truly enjoy (or move to one that I like better in a year or two) and maybe, just maybe, settle into a relationship. I’m not rushing that one, but it’s exciting (yet scary) because I’m coming to some conclusions about myself (and in a way, ‘coming out’ to myself) and it feels so freeing to admit to myself that, yes, I prefer girls to guys and that’s okay and I can really see myself having a meaningful relationship with (and hopefully eventually marrying) an amazing woman. But again, I want to focus on myself first–finding a job, settling in to that job, and making a new life for myself–and I don’t think that’s selfish. I have big dreams for myself, and I don’t want to limit them. I know I probably won’t get my dream job right away, and that’s okay too. One thing I really appreciate about my industry is that even though it’s competitive, there are always jobs open and the opportunities to move up quickly are many. I may not be in my first job for longer than a year! As for right now, I’m continuing the job search process and mostly just trying to soak up the remaining time I have left at home. Who wouldn’t want to take advantage of having your laundry done for you and having your groceries paid for? I love my family to pieces, and I know I’ll miss them a lot when I move out, but I’m also excited to really start my own life! What are your plans for the new year (work/school/etc.)? Today’s topic is one that’s hard for me to write about. And truth be told, if it weren’t for recent circumstances, I wouldn’t be writing it. However, I feel like what I’m going to say needs to be said, because it’ll make me feel better to get the emotions out in a more organized way, and I think it’s an important lesson for a lot of girls/women out there. So it started out with a conversation my sister and I had a few months ago. We were just driving around, to Target I think, and the topic of relationships came up. We both came to the conclusion that neither of us wanted to sacrifice our careers to follow a guy around, and we wanted to put our own lives first. I don’t think we’re alone in that sentiment, either. What’s so wrong about following your own passions, and then trying to find time to fit someone else in? And if you want to be married, engaged, etc. while trying to find yourself then more power to ya. I just don’t think it’s for everyone. 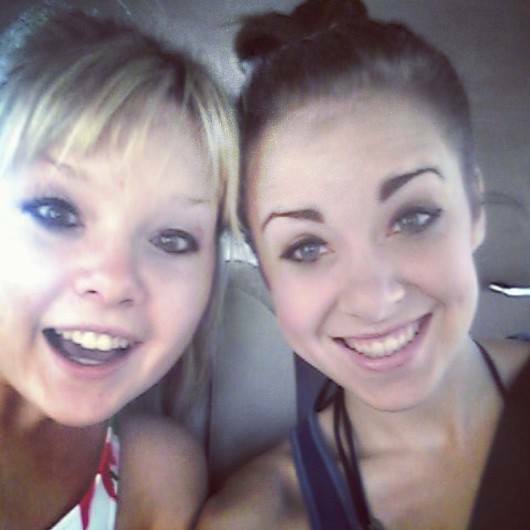 Me and my sissy, from less stressful times this summer. Anyways, a couple months passed and now things are complicated. I don’t want to get too personal because I’m still not sure how I feel, but let’s just say I’ve been really questioning my sexuality lately. I’m wondering if what I’m feeling is real, simply because I ignored or didn’t notice these feelings before, but I’m still not ready to make a decision one way or the other. My sister, on the other hand, is pretty damn straight from what I can tell. She constantly talks about how she wants to marry Adam Levine, etc. And…she just got a boyfriend, her first. Understandably, she’s excited and part of me is excited for her. But part of me is pissed beyond belief that she completely forgot what we were talking about in October. She’ll be graduating from high school in May, and she’s really driven to follow her chosen career of musical theatre, with the hopes of making it on Broadway someday. I really admire her for her passion to follow this dream, as it is a competitive field to pursue. She’s still waiting to hear back from all of the colleges she applied to, and still has to audition for some. So why she would choose this time, of all times, to be in a relationship is beyond me. I don’t know how long this will last, but it’s upsetting to me for several reasons. One, she’s already blowing me off in favor of this guy. I’m about to graduate from college, and even though I’m moving back home, it’s not in my plans to stay for long. My job search will kick into high gear as soon as Christmas break starts, and if all works out right, I’ll be in my own apartment, hopefully in another state, working for a TV station. So it’s understandable that I want to spend as much time as possible with my sister, my best friend, before I hopefully leave for good. She’ll also be leaving once she goes off to college because she’ll probably end up at an out-of-state school, so the chances of us seeing each other often will be slim. Which is natural, I know, but it makes sense that I want to hang out with her before that time comes. Another reason I’m upset is that it makes me feel like a failure. My younger sister, still in high school, has a relationship before I ever did. And no, the 3 week long fling in 7th grade doesn’t count, I don’t think we even held hands. My mom is really excited for my sister, and is simultaneously trying to reassure me that I’ll end up finding a guy, probably at work. And I’m struggling with trying to tell her that maybe I’m not actually interested in guys, and why does it matter if I’m single or not? Before my sister got into this relationship (which, BTW, only started this week so it hasn’t been going on forever), I was perfectly fine being a single lady. It never upset me that I wasn’t with someone, only a little bit when well-meaning people would jokingly ask “Do you have a boyfriend?” And it only upsets me because I think people expect that girls, all girls, need a man by their side to have any worth. And that is ridiculously untrue. I’m finally becoming more secure in myself, and it sure as hell isn’t because I have a boyfriend. It’s because I’m valuing myself more, and not worrying so much about what other people think. I don’t need someone to complete me, because I’m a complete person in and of myself! That being said, I’m not opposed to a relationship. But as I mentioned, things are complicated for me right now, and I don’t want to complicate them further. I want to focus all my energy on finding a job I will like or even love and building a new life for myself in a new place. I don’t think it’s selfish to want to pursue this. And it doesn’t make me a lonely person because I’m alone. I have friends. I have family. Most of all, I’ve gained so much independence living on my own at school for the past year and a half that I feel perfectly okay with being alone sometimes. If you’re alone, but not lonely, I want you to know that we’re in the same boat, and it’s totally okay! If you don’t feel like you have to have somebody at this point in your life, that’s great. I just want more women out there to realize that you’re not weird if you don’t have a boyfriend (or girlfriend) and life will go on if you don’t want to be in a relationship at one point or another. Just value yourself for who YOU are, and that’s all that matters. What’s your take on this touchy subject?